Easy to Personalize, click the "Customize Now" button on the top right of this page. **These decals will not adhere to walls painted with eco-friendly (low/no VOC) paint, paints that have a stain-blocker or mildew resistant additive in them that makes it very difficult for the vinyl to stick. This is a high quality removable decal made in the USA by Wall Sayings Vinyl Lettering. 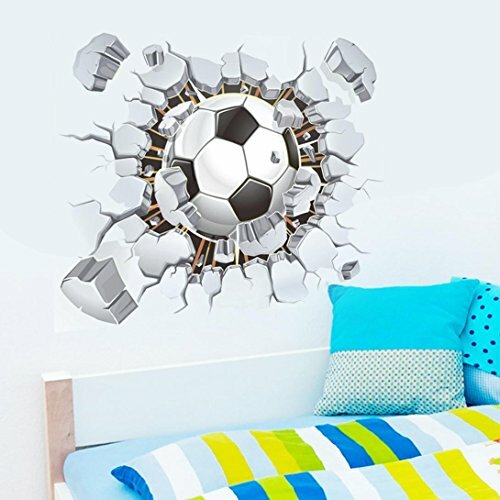 The outside dimensions of this wall decal measure 12.5" H x 19" W. You will receive one matte black decal as shown in the picture. It comes on ready to apply on pre-spaced application tape and includes easy to use application directions. Our customer service phone number is included with all orders so you have someone to call if you have installation questions. Vinyl Lettering is one of the latest trends in home decor, these vinyl decals are removable (but not re-usable). This high quality decal gives the look of being hand-painted without the cost, time, mess, and permanent paint on your wall. You can apply them to walls (smooth or lightly textured), dorm rooms, mirrors, windows, doors, cars, books, lockers or almost any flat surface. If you ever need to remove it use a blow drier to heat up the vinyl while you slowly pull it off the wall, you'll never know it was there. We've got Spirit, yes we do! We've got spirit, how about you!? 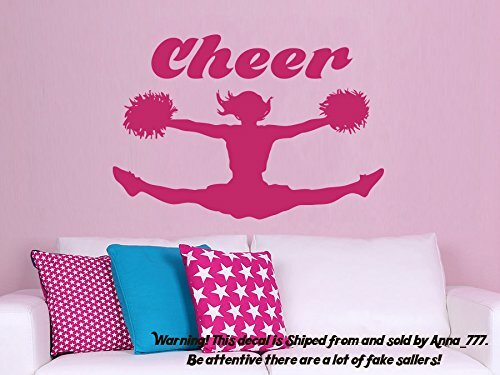 Is your cheerleader's bedroom lacking some spirit? 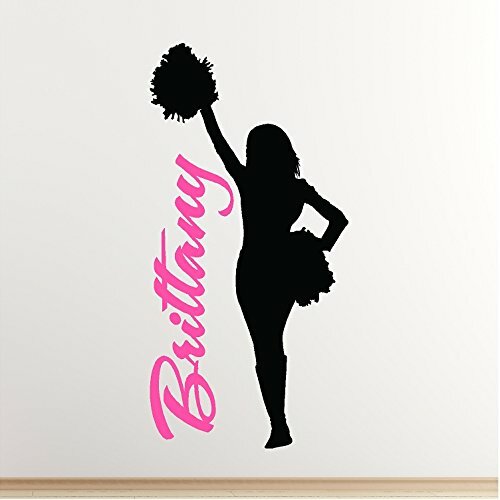 Add some team spirit with our personalized team cheerleading vinyl decal. 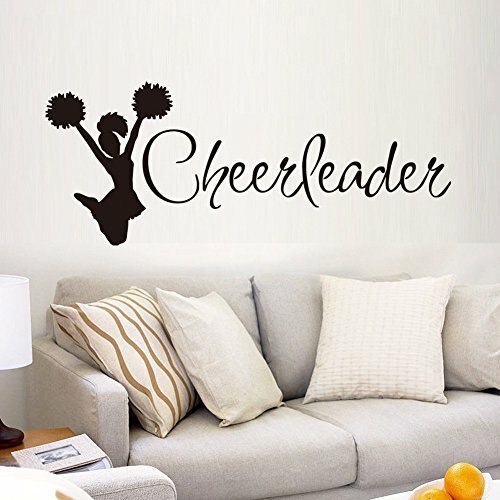 While your cheerleader may not be encouraging the Wildcats, this custom cheer decal lets you include the team name of the team she does cheer for! We can also substitute her name instead. 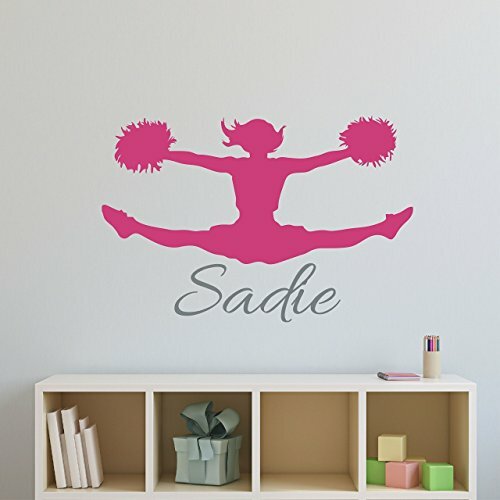 When you purchase this decal you have the ability to choose the color of the cheerleader silhouette as well as the color of the personalization. Color: Select from over 30 colors using the color chart provided in the listing. CHEERLEADING Street Sign ~ Custom Street Sign - Sticker Decal Wall Window Door Art Vinyl - 8.25" X 2.0"
Vinyl USA Patented Highest quality outdoor grade vinyl on the market, UV and Water resistant. The sticker is digitally printed then die cut around the image. Easy application, will stick to all types of flat surfaces - bumpers, car windows, lockers, binders, metal, wood. Directions: Ensure that the surface that you are applying the sticker to is dry and clean. Stick the adhesive backing to the desired surface. Orders are shipped within 24 hours. Vinyl USA only uses high quality Vinyl with EZ Apply Technology for a smooth easy installation. Great decoration that looks hand painted on your walls after applying it. Dear Buyers, welcome to our store! Decals can be applied on any smooth surface like non textured walls, windows, digital gadgets, household appliances and etc. You can apply our decals on cars. Decals are easy to remove but they are not reusable. You will get Easy to follow application instructions with your order. We are located in the USA. If you live in the USA you will get the decal within 5-7 with regular post service. We ship Worldwide! Worldwide shipping usually takes 10-20 working days. Please inform me if you do not receive items more than 10 days (for American customers) and 5 weeks (for worldwide customers). International customers are responsible for all fees, taxes, and duties associated with shipping to their respective countries. If you are not satisfied with the decal please contact me first. And we will resolve this situation. If you receive damaged or incorrect item, please contact within 2 days after receiving the item and we will replace it. This finished effect of this DIY product is up to the renderings with your own idea. Notice 1.Don't apply in ash, broken or uneven surface. 2.If your wall is freshly painted, We would recommend you to wait for few days before sticking. 3.Make sure you measure out the space before applying. 4.We recommend you would cleaning the wall before sticking. 5.Dry the surface with a hair drier if it's wet or you live in a humid environment. 6. 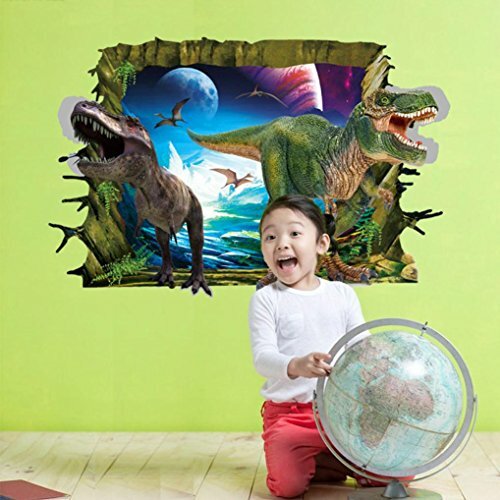 We suggest you using the environmental Double Sided Adhesive Tape, avoiding from hurting the poster or wall. 7.Please allow slight deviation for the manual measurement data. Description 1. Measure out the suitable position for this poster, Then mark it with pencil. 2. Stick the double faced adhesive tape on its back, then tear off the surface of the tape, Ready to stick on 3. Please check the position again, avoiding from removing. 4. .Push through the surface with a card to squeeze out if there is any air bubbles. Size and Package 1. Package size: 16x28 Inches 2. Applying size: 41x 16 Inches Please feel free to contact us if any question. StickleMe School Spirit! And A Cheer! 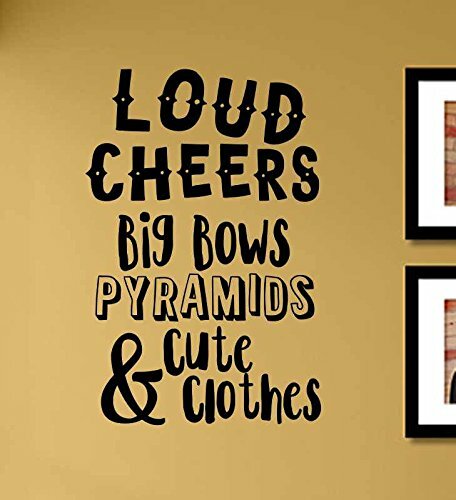 Compare prices on Cheers Wall Decal at ShoppinGent.com – use promo codes and coupons for best offers and deals. Start smart buying with ShoppinGent.com right now and choose your golden price on every purchase.